St. John Kanty Church - Buffalo, NY > News > News > Welcome Deacon Richard (Rick) Mackiewicz! Welcome Deacon Richard (Rick) Mackiewicz! This past weekend we welcomed Deacon Rick as our Administrator. Deacon Rick was ordained in 2001 and comes to us from St Vincent DePaul in Springbok. He is married and the father of seven. His wife is involved in the religious education program at St Vincent DePaul. He is really looking forward to exploring his Polish roots now that he is with us. 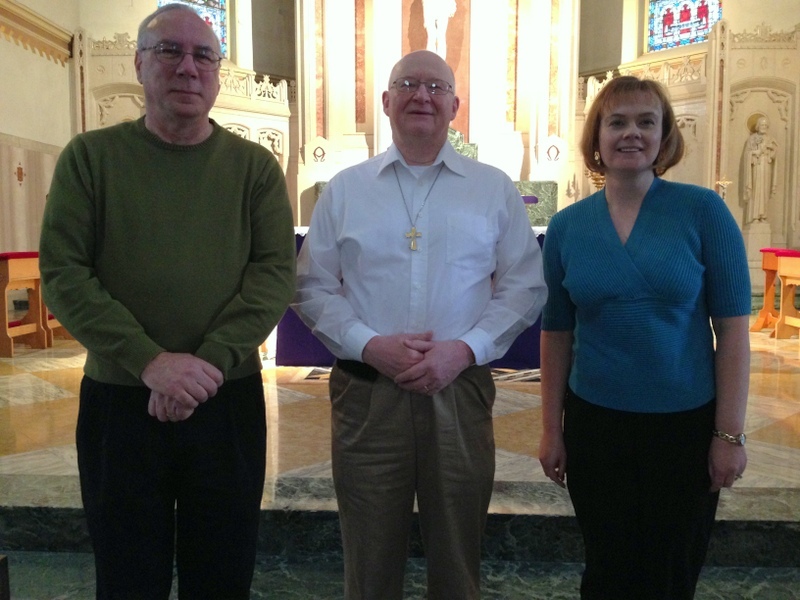 Pictured below is Deacon Rick with our Trustees Ed Bosiacki and Jennifer Snyder-Haas. We are grateful to Deacon David Velasquez for his service to us the past 18 months and wish him all the best at his next assignment: St Anthony Church in Lackawanna, where SJK grad Rev Henry Orszulak serves as Sacramental Minister.